Hockessin, DE 19707) in Hockessin. The event is a first-time celebration Delaware's independent and self-published authors and local artists, with 62 authors and artists participating. Some authors/artists include Lee Anderson, Gene Castellano, Karen O’Lone-Hahn, JM Reinbold, Billie Travalini, Johnny Tucker Jr., Justynn Tyme, and Bob Yearick. Writers groups such as The Cape Henlopen Writers, Delaware Valley Sisters in Crime, The TransCanal Writers and The Written Remains Writers Guild will also be on hand. 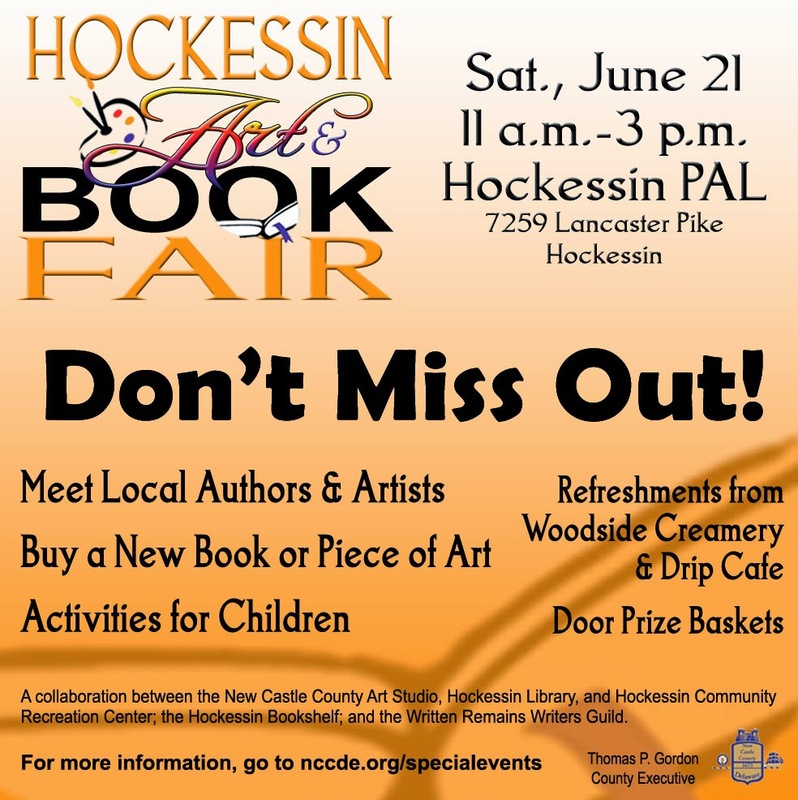 The Hockessin Art & Book Fair is collaboration between New Castle County’s Hockessin Community Recreation Center, Art Studio, and Hockessin Library; the Hockessin Book Shelf and The Written Remains Writers Guild. Thank you so much for highlighting the Fair, MIchelle! We hope lots and lots of folks will stop by to enjoy the books, art, food, and fun!